Tekashi aka 6ix9ine is starting to get some collaborations with artists after they see how powerful and loyal his fan base is. 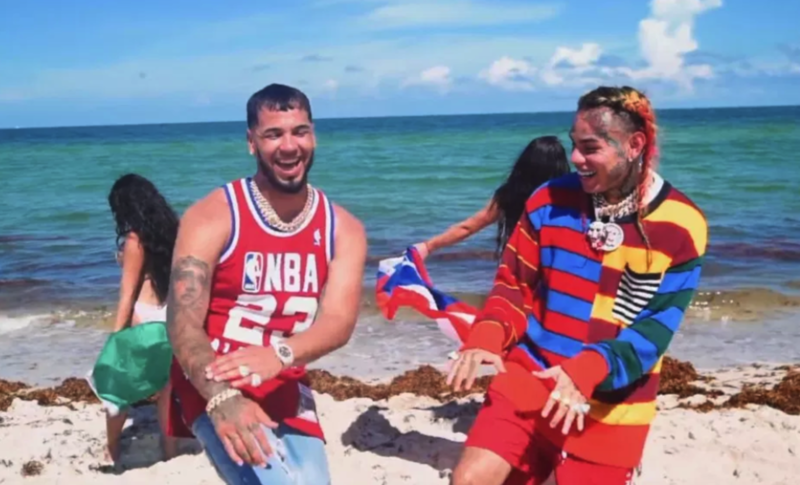 Recently, he digged deep into his roots by singing in Spanish on this Reggaeton track “Bebe” with Anuel AA. Check it out! We recently featured him with his other collab with Nicki Minaj. (Warning: Video has lots of “T&A” – maybe that’s why it has 109+ Million views so far or everything 6ix9ine touches goes viral).